In his book Guns, Germs, and Steel, Jared Diamond put forth that civilizations which spread out and conquer others do so as a result of geographic advantages. Access to certain plants and minerals, particular climates, even regional wildlife all — according to Diamond’s framework — determine which states thrive and which ones falter. A civilization is strong thanks to the resources it has access to, not the culture or genetic makeup of its people. While Diamond’s book has been viewed with more skepticism recently (as happens with any work that proposes a universal framework for history), his hypothesis remains interesting. Resources often seem to coincide with historical leaps. Bronze and iron were so crucial to the spread of ancient civilizations that they have entire epochs named after them. With the rise of the American steel industry, railroad tracks spread from Atlantic to Pacific, metal veins that carried the blood of a nation. Silicon semiconductors enabled the growth of computers and the greatest surge in information technology since the printing press. These materials shaped the development of society, and helped determine which countries dominated international relations. Today, a new material has the potential to alter the future. Dubbed a “supermaterial,” graphene has researchers the world over scrambling to better understand it. The material’s long list of superlative traits make it seem almost magical, but it could have very real and drastic implications for the future of physics and engineering. The simplest way to describe graphene is that it is a single, thin layer of graphite — the soft, flaky material used in pencil lead. Graphite is an allotrope of the element carbon, meaning it possesses the same atoms but they’re arranged in a different way, giving the material different properties. For example, both diamond and graphite are forms of carbon, yet they have wildly different natures. Diamonds are incredibly strong, while graphite is brittle. Graphene’s atoms are arranged in a hexagonal arrangement. Interestingly, when graphene is isolated from graphite it takes on some miraculous properties. It is a mere one atom thick, the first two-dimensional material ever discovered. Despite this, graphene is also one of the strongest materials in the known universe. With a tensile strength of 130 GPa (gigapascals), it is more than 100 times stronger than steel. Graphene’s incredible strength despite being so thin is already enough to make it amazing, however, its unique properties do not end there. It is also flexible, transparent, highly conductive, and seemingly impermeable to most gases and liquids. It almost seems as though there is no area in which graphene does not excel. Graphite has been a known quantity long time (humans have been using it since the Neolithic era). Its atomic structure is well documented, and for a long time, scientists pondered whether single layers of graphite could be isolated. Until recently, however, graphene was merely a theory, as scientists were unsure if it would ever be possible to slice graphite down to a single, atom-thin sheet. The first isolated sample of graphene was discovered in 2004 by Andre Geim and Konstantin Novoselov at the University of Manchester. One might expect that they isolated the fabled substance using some massive, expensive piece of machinery, but the tool they used was amusingly simple: a roll of scotch tape. When using tape to polish a large block of graphite, the researchers noticed exceptionally thin flakes on the tape. Continuing to peel layer and layer from the flakes of graphite, they eventually produced a sample as thin as possible. They had found graphene. The discovery was so bizarre, the scientific world was skeptical at first. The popular journal Nature even rejected their paper on the experiment twice. Eventually, their research was published, and in 2010 Geim and Novoselov were awarded the Nobel Prize in Physics for their discovery. If graphene had merely one of its many superlative traits, it would be the subject of intense research into potential uses. Begin so remarkable in so many ways, graphene has inspired scientists to think of a wide range of uses for the material, in fields as varied as consumer tech and environmental science. 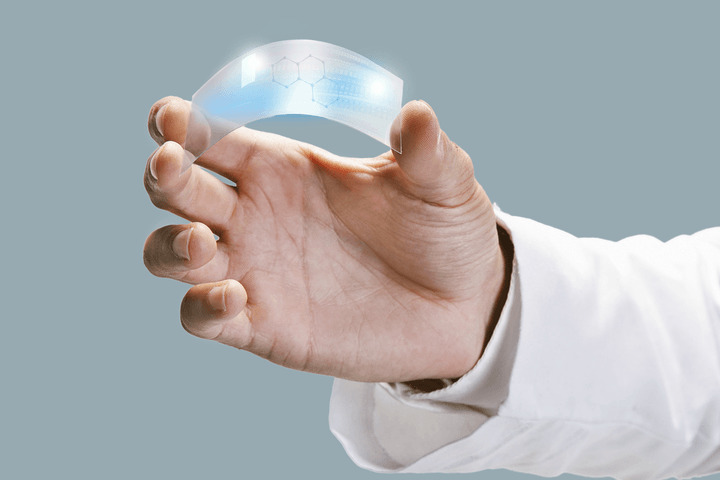 In addition to its powerful electrical properties, graphene is also highly flexible and transparent. This makes it perfect for use in portable electronics. Smart phones and tablets could become much more durable using graphene, and perhaps could even be folded up like paper. Wearable electronic devices have been growing in popularity recently. With graphene, these devices could be made even more useful, designed to fit snugly around limbs and bending to accommodate exercise. Graphene’s flexibility and microscopic width provide opportunities beyond mere consumer devices. It could also be useful in biomedical research. Small machines and sensors could be made with graphene, capable of moving easily and harmlessly through the human body, analyzing tissue or even delivering drugs to specific areas. Carbon is already a crucial ingredient in the human body; a little graphene added in might not hurt. Graphene is both highly conductive and transparent. As such, it has great potential as a material in solar cells. 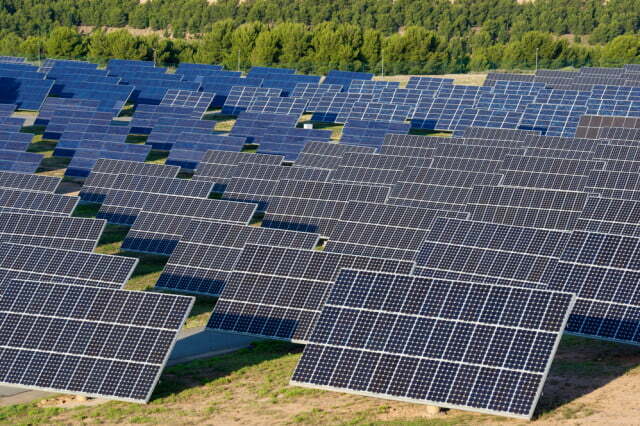 Typically, solar cells use silicon, which produces a charge when a photon hits the materials, knocking loose a free electron. Silicon only releases one electron per photon that hits it. Research has indicated that graphene can release multiple electrons for each photon that hits it. As such, graphene could be far better at converting solar energy, with a projected 60 percent efficiency compared to the roughly 25 percent efficiency that current silicon cells are capable of. Unfortunately, this is all theoretical. 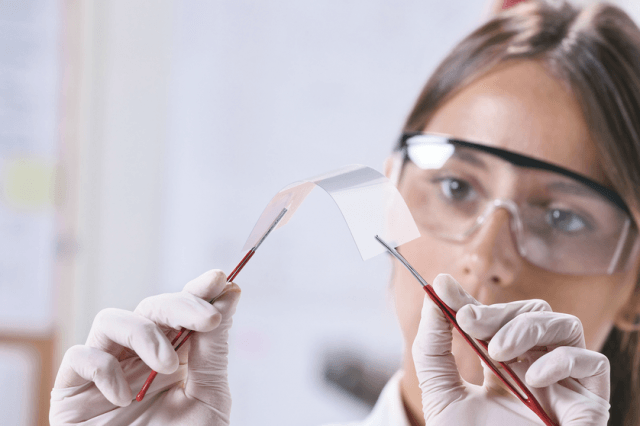 Current graphene cells are not yet up to par with silicon cells. Thankfully, research into graphene solar cells is ongoing, and the efficiency of such cells is increasing. Before long, cheaper, more powerful graphene cells could produce a massive surge in renewable energy. In less grandiose fields, graphene’s photovoltaic properties also mean that it could be used to develop better image sensors for devices such as cameras. Due to its high conductivity, graphene could be used in semiconductors to greatly increase the speed at which information travels. Recently the Department of Energy conducted tests which demonstrated that semiconductive polymers conduct electricity much faster when placed atop a layer of graphene than a layer of silicon. This holds true even if the polymer is thicker. A polymer 50-nanometers thick, when placed on top of a graphene layer, conducted a charge better than a 10 nm thick layer of the polymer. This flew in the face of previous wisdom which held that the thinner a polymer is, the better it can conduct charge. Yet another example of graphene’s remarkable properties. The biggest obstacle to graphene’s use in electronics is its lack of a band gap, the gap between valence and conduction bands in a material that, when crossed, allows for a flow of electrical current. The band gap is what allows semiconductive materials such as silicon to function as transistors; they can switch between insulating or conducting an electric current, depending on whether their electrons are pushed across the band gap or not. Because graphene has no band gap, electrical charges simply flow along, as in any metal. New research conducted by the Georgia Institute of Technology may have changed this, however. The researchers claim to have produced graphene samples with a band gap of 0.5 electronvolts, which they say should be enough for graphene to function as a semiconductor. If true, this could lead to graphene supplanting silicon as the semiconductor of choice, enabling much faster electronics to be made. Graphene’s tight atomic bonds make it impermeable for nearly all gasses and liquids. Curiously, water molecules are an exception. Because water can evaporate through graphene while most other gasses and liquids cannot, graphene could be an exceptional tool for filtration. Researchers at the University of Manchester tested graphene’s permeability with alcohol, and were able to distill very strong samples of spirits, as only the water in the samples was able to pass through the graphene. Of course, graphene’s use as a filter has potential beyond distilling stronger spirits. Graphene could also be immensely helpful in purifying water of toxins. In a study published by The Royal Society of Chemistry, researchers showed that oxidized graphene could even pull in radioactive materials such as uranium and plutonium present in water, leaving the liquid free of contaminants. The implications of this study are massive. 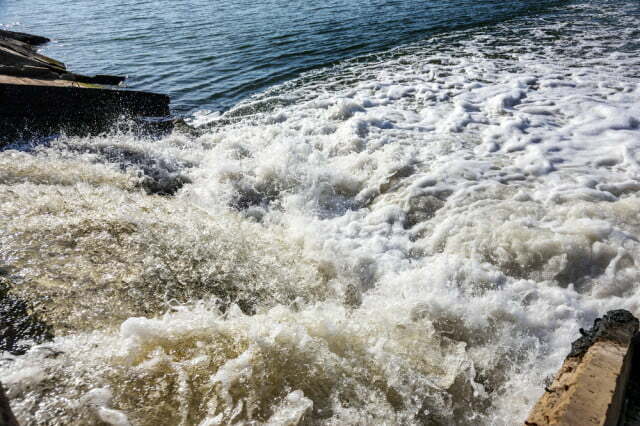 Some of the biggest environmental hazards in history, including nuclear waste and chemical runoff, could be cleansed from water sources thanks to graphene. As overpopulation continues to be one of the world’s most pressing environmental concerns, maintaining clean water supplies will only become more important. Indeed, water scarcity afflicts more than a billion people worldwide, a number that will only continue to rise given current trends. Graphene filters have immense potential to improve water purification, increasing the amount of fresh water available. In fact, Lockheed Martin recently developed a graphene filter called “Perforene,” which the company claims couls revolutionize the desalination process. Current desalination plants use a method called reverse osmosis to filter salt out of seawater. Reverse osmosis uses pressure to move water through a membrane. In order to produce large amounts of drinkable water, the pressure involved requires enormous amounts of energy. A Lockheed Martin engineer claims their Perforene filters could reduce the energy requirements a hundred times less than that of other filters. What they discovered is that, when they ran electricity through the off-kilter graphene stack, it functioned as a superconductor. This simple process of applying electricity makes graphene easier to study than a similar class of superconductors, cuprates, although those materials display superconductivity at much higher temperatures. Most materials that display superconductivity only do so near a temperature of absolute zero. Some so-called “high temperature superconductors” can display superconductivity at temperatures around 133 Kelvin (-140 Celsius), which is relatively high; hydrogen sulfide, under enough pressure, displays the property at a miraculous -70 degrees Celsius! The graphene arrangement had to be cooled to 1.7 degrees above absolute zero, however the researchers consider its behavior similar to that of cuprates, and so they hope that it will be a much easier material for studying unconventional superconductivity, which is still an area of great disagreement among physicists. Because superconductivity typically only happens at such low temperatures, superconductors are only used in costly machinery like MRI machines, but scientists hope to one day find a superconductor that works at room temperature, which would bring down costs by removing the need for cooling units. 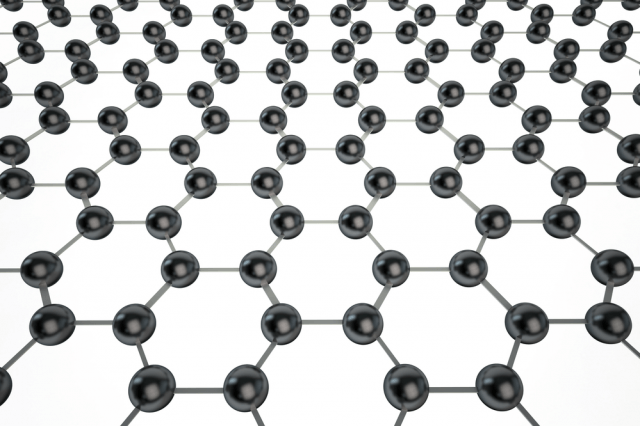 Given graphene’s seemingly endless list of strengths, one would expect to see it everywhere. Why, then, has graphene not been widely adopted? As with most things, it comes down to money. Graphene is still extremely expensive to produce in large quantities, limiting its use in any product that would demand mass production. Moreover, when large sheets of graphene are produced, there is increased risk of tiny fissures and other flaws appearing in the material. No matter how incredible a scientific discovery may be, economics will always decide success. Production issues aside, graphene research is by no means slowing down. Research laboratories the world over — including the University of Manchester, where graphene was first discovered — are continually filing patents for new methods of creating and using graphene. The European Union in 2013 approved funding for a flagship program that will fund graphene research for use in electronics. Perhaps more importantly, many major tech companies in Asia are conducting research on Graphene, including mobile giant Samsung. As the EU tries to steady its footing in the face of explosive economic growth in Asia, graphene could be an important battlefield in international politics in the coming years. Again, empires often rise and fall based on their control of resources. Despite its current limitations, researchers are trying out all sorts of uses for graphene, from lightbulbs to body armor. Revolutions don’t happen overnight. Silicon was discovered in the mid 19th century, but it took nearly a century before silicon semiconductors paved the way for the rise of computers. Might graphene, with its almost mythical qualities, be the resource that drives the next era of human history?